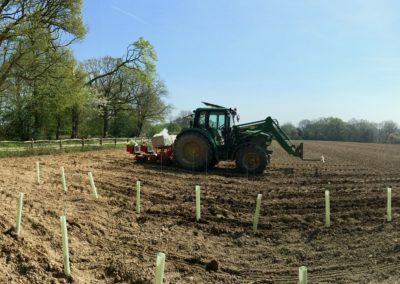 In a few weeks’ time it’ll be Christmas tree planting season again, but this year the planting machine has made an early outing. 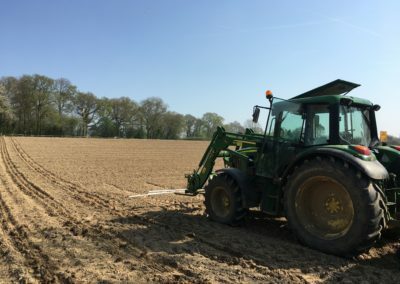 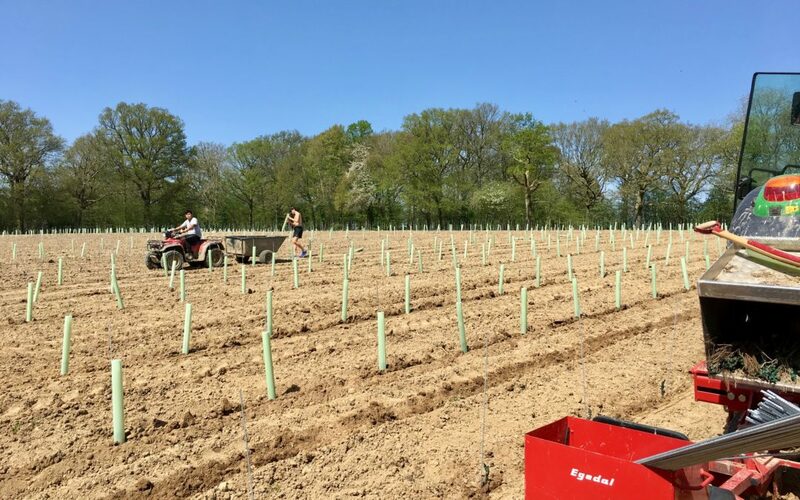 Last weekend, with glorious sunshine beating down over Sussex, we embarked upon the latest project at the farm and planted 6,000 vines in the south-facing ‘Bungalow field’. 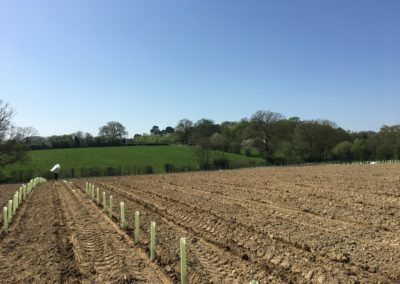 Farmer Chris has had designs on a vineyard for some time, and after completing an introductory course in viticulture last year (that’s grape growing to you and me), he and Farmer Tom set aside what we hope will be the perfect field and went about sourcing the vines. 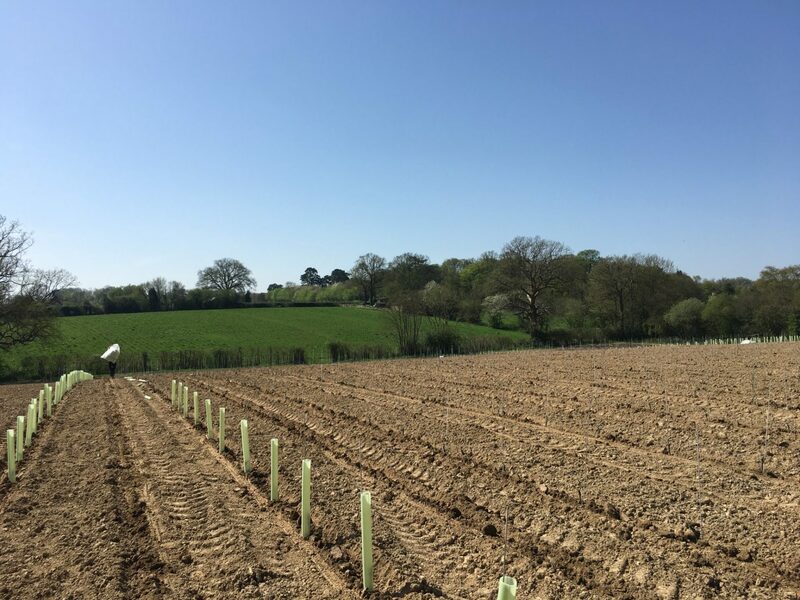 Finally, with the prospect of a weekend of fine weather ahead, the first furrows were ploughed on Friday and the vines started going in. 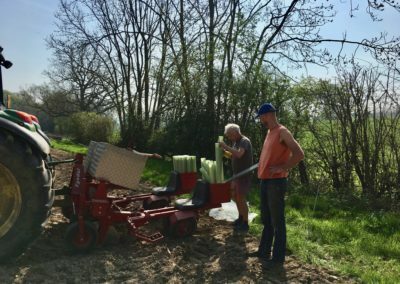 With the tractor set at a snail’s pace and 6,000 sticks and tubes to poke in alongside the vines themselves, it was a long weekend. 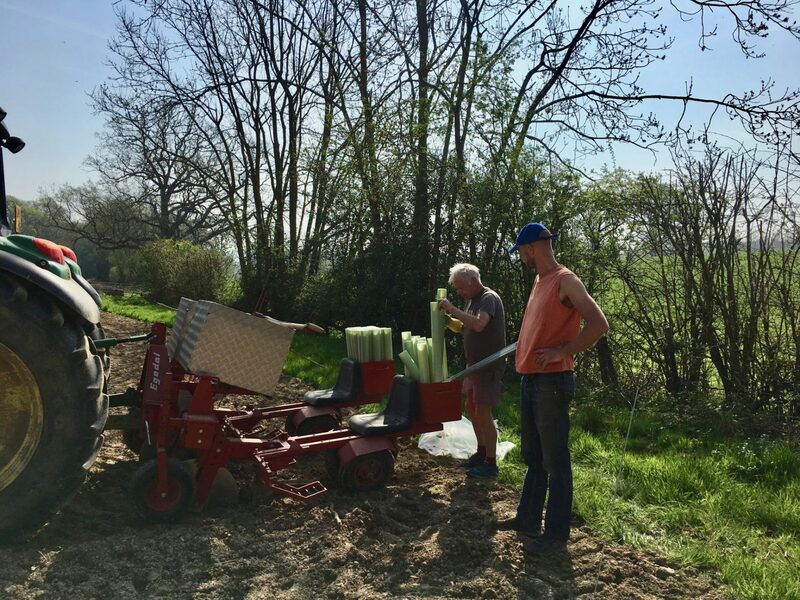 With Chris, Tom and Website Will on the job, though, as well as cameos from tube supremos Spencer and Adam, we were soon finishing up the last few roads, cracking open a cold beer and soothing our sunburnt necks. 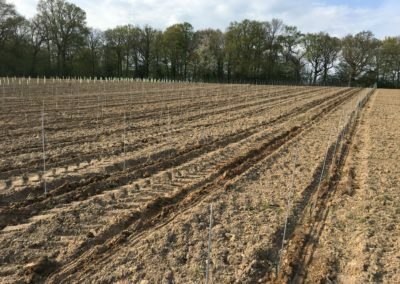 “We’ve planted three varieties: Pinot Noir, Pinot Meunier and Chardonnay with plans to produce white and sparkling wines. 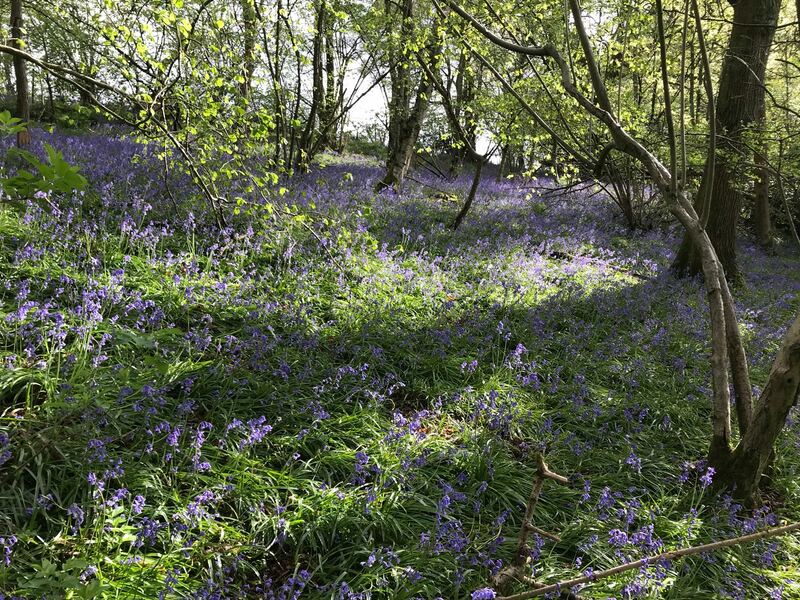 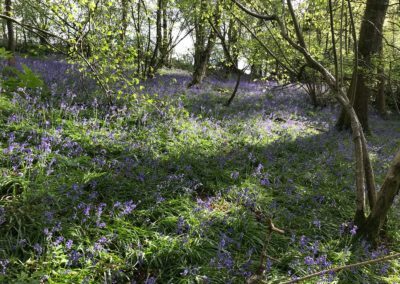 It’s a lovely south-facing slope so gets the best of the sun as it moves across the sky, and it’s surrounded by lovely woodland full of wild garlic and bluebells, so all in all it’s a lovely spot to grow and tend to vines. 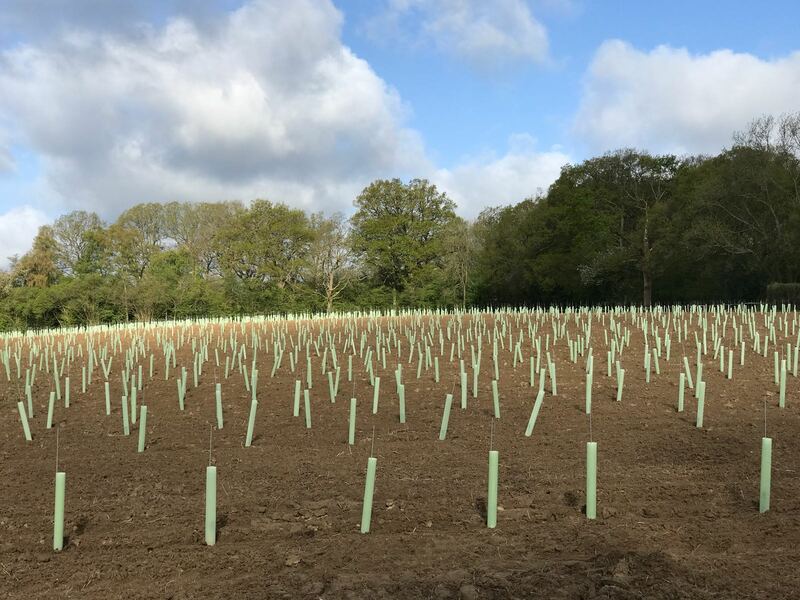 We hope to have our very own Sussex Bubbly in 3 years”. 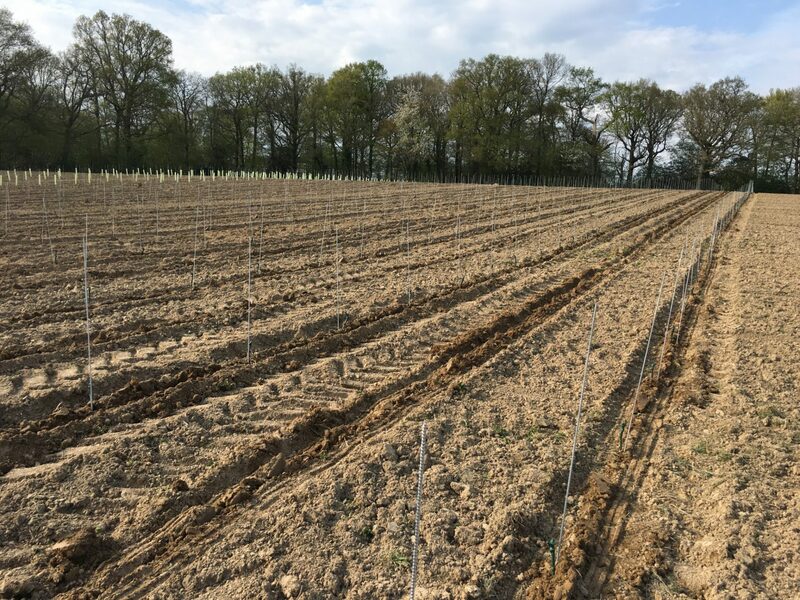 Much of the equipment we already have for looking after the trees can be put to work on rows of vines too, which makes it a great crop to go alongside the fields of firs. 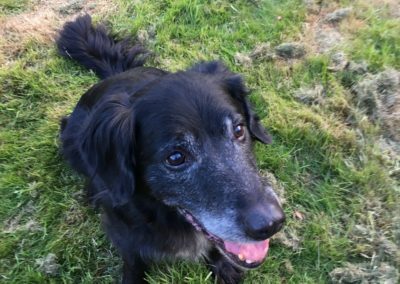 Here’s to three years’ time! 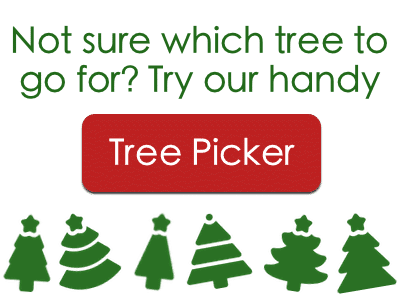 Just received our tree, it’s perfect! Cheers guys.